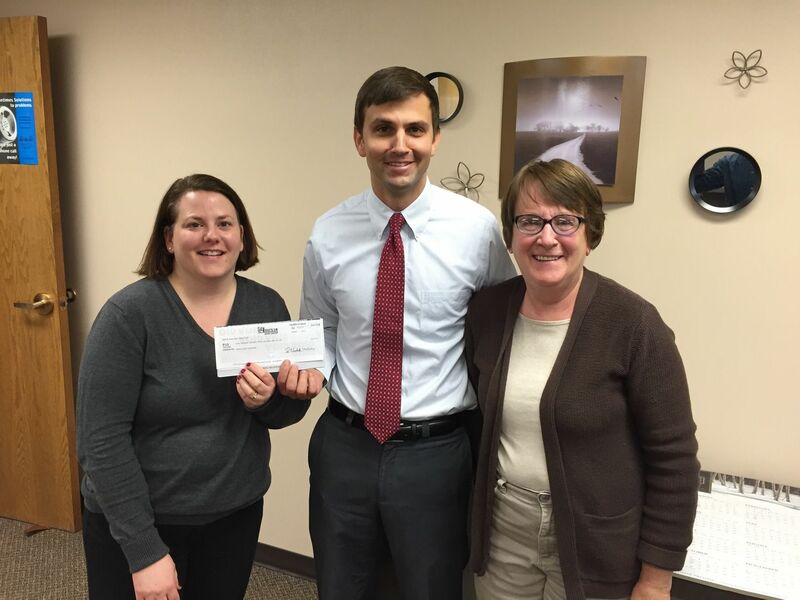 American Bank Center presented their annual donation of the ABC Jeans Day Fund from Superbowl Friday of over $500 to Rebuilding Together Bismarck-Mandan! We would like to thank ABC for their continued support in partnering with us to make our Bismarck-Mandan communities stronger by helping to provide free home repairs to those in need. Pictured left to right: Amy Glovich (American Bank Center/Rebuilding Together Board of Director), Mark Giese (Wells Fargo/Rebuilding Together President) and Caroline Ternes (Rebuilding Together 2nd Vice President). This is really cool. I’m happy to live in a community that helps each-other out. Home repair can be costly and often requires skill the normal home owner does not have. This is something the elderly people here in Bismarck, ND use more of. 2 thumbs way up! !